Five-axis machining is an increasingly prevalent capability in shops large and small. Still, many are just scratching the surface of what’s possible. Technology innovations and process improvements are a boon for ease of use, and while growth in manufacturing overall is slow, companies are on the hunt for new ways to boost throughput and profit. There’s no silver bullet for instant 5-axis machining success, but staying on top of the latest developments can help pave a solid path. 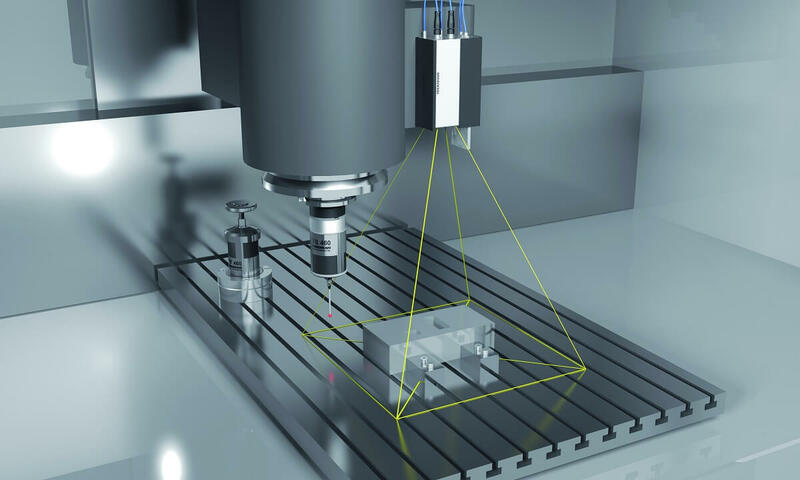 From CNC control breakthroughs to innovative cutting techniques, let’s explore five trends set to make an impact on your 5-axis machining operations next year. The skilled labor shortage in manufacturing is hardly news. And according to Production Machining, 2017 may be a tipping point. The article cites a survey from PeopleReady that suggests that, for the first time since 2007, job growth is being restricted by a lack of qualified labor. What’s more, baby-boomer retirement levels are far from their peak. The good news? Machine tool makers and their technology partners are developing solutions to help alleviate the pain—including easier-to-use 5-axis machining controls and programming functionality. The latest in touchscreen technology isn’t only for smartphones and tablets. 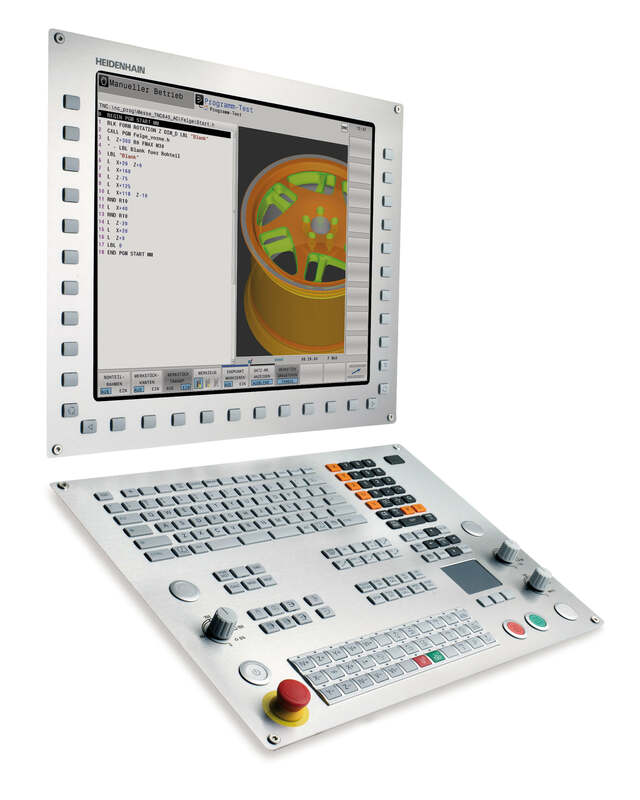 CNC control manufacturers are integrating this functionality to help make programming more intuitive and fast. 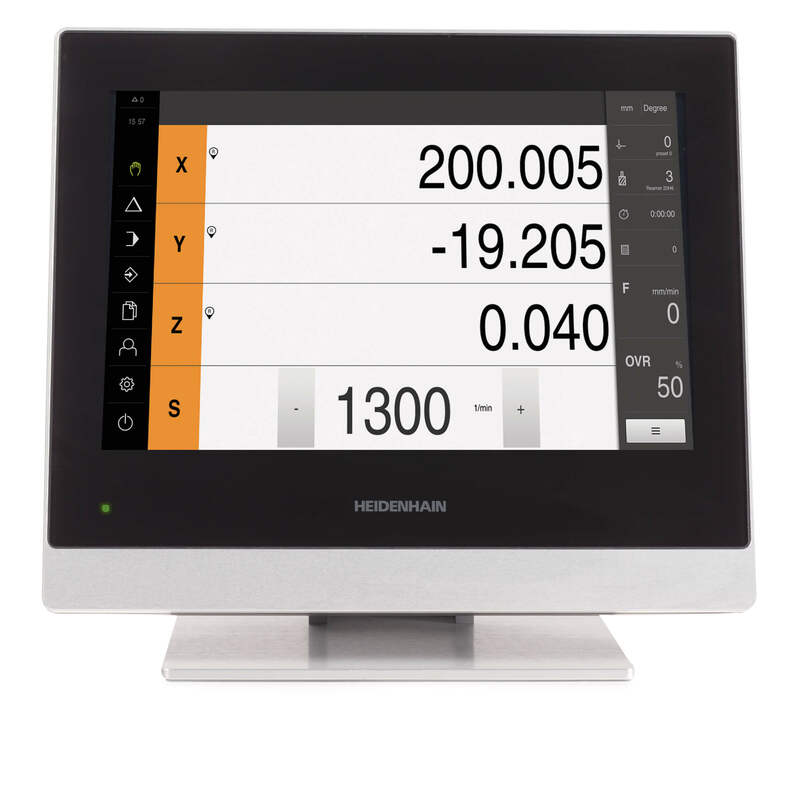 Touchscreen functionality on the TNC 620 control from HEIDENHAIN allows the operator to navigate quickly and intuitively through long lists, programs, tables and other content by what is known as kinetic scrolling. A slow, brief swiping movement results in scrolling over a few lines; a longer and quick movement leads to dynamic scrolling over many lines. 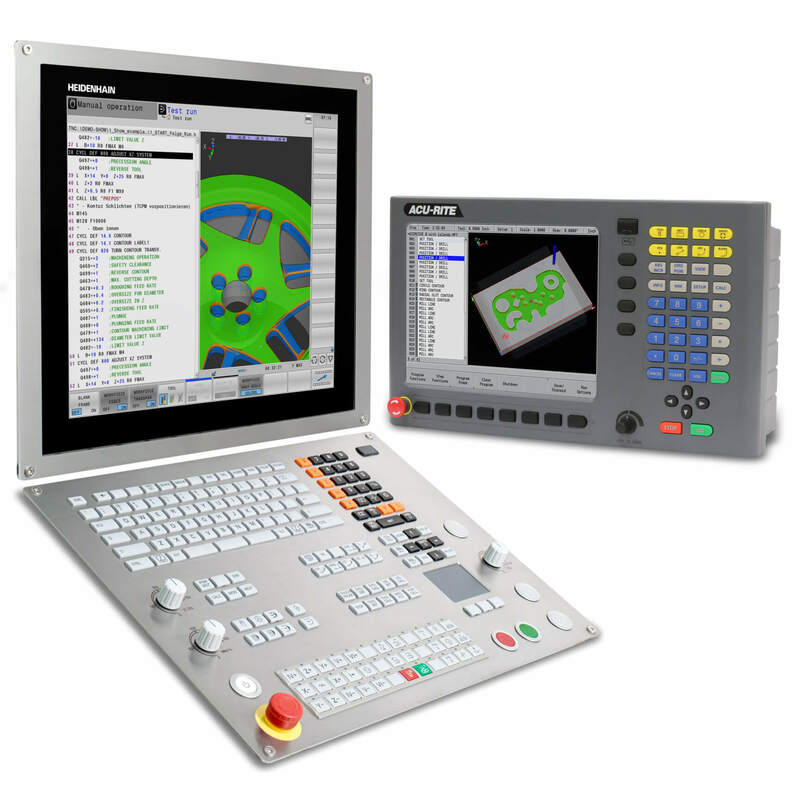 Leading CNC control manufacturers continue to offer functions that make complex programming tasks—like contours or holes on inclined surfaces—much easier for less experienced operators. The PLANE function in HEIDENHAIN TNC control, for example, makes it easy to define a tilted working plane; you can specify tilted working planes in seven different ways, depending on the information on the workpiece drawing. Clearly arranged support graphics assist the operator during input. 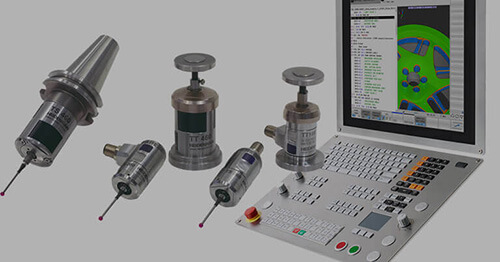 What’s more, HEIDENHAIN controls feature conversational programming—which makes it quick and easy for operators to generate programs at the machine without complex math and tedious programming tasks. 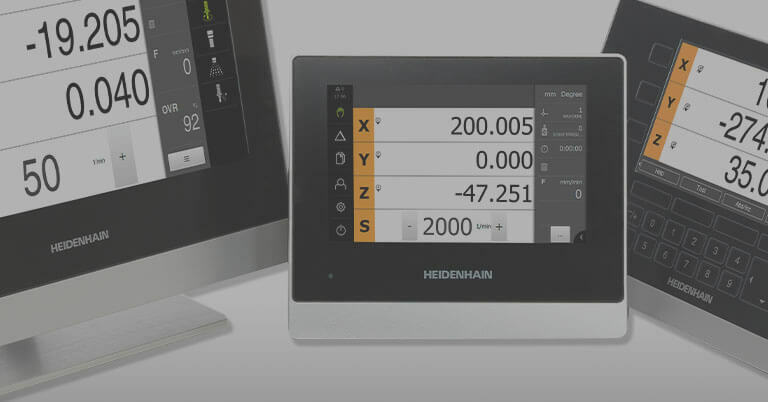 HEIDENHAIN’s conversational programming features include syntax highlighting, color-structured programs and help graphics. According to Modern Machine Shop’s most recent Capital Spending Survey, demand for core machine tools is on the rise. One big reason? Stiff global competition that calls for increased efficiency, quality and speed that only the latest technologies can deliver. In fact, the upfront investment in new machinery often pales in comparison to the cost savings and profit-making capabilities it can provide. 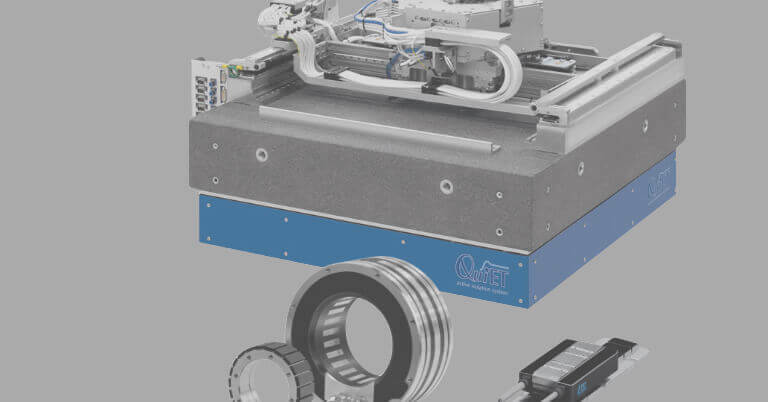 “Smart” 5-axis machining capabilities—that allow machines to easily and efficiently feed data to enterprise systems, machine monitoring programs and more—can offer manufacturers a big leg up. The unprecedented visibility and analysis that these technologies allow is a key factor in increasing competitiveness and profitability. 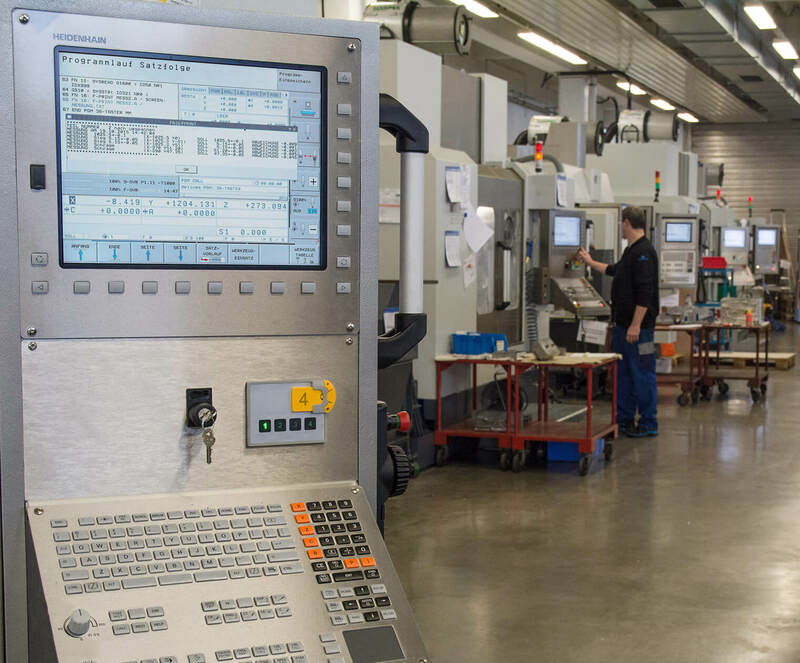 HEIDENHAIN’s Connected Machining system (a component of the TNC control) ensures that all production processes are networked—from design to final delivery. 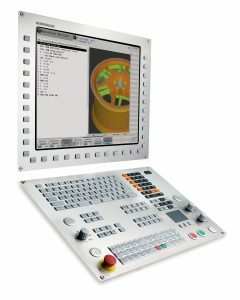 Connected Machining functionalities include tool management; batch processing/scheduling; machine monitoring (real-time machine status dashboards, mobile and desktop alerts, etc. ); quality assurance; historic data collection/reporting; ERP integration; web browsing capabilities and more. In addition to “Smart” machines, improving speed is an obvious way shops can stay competitive—and high-speed cutting (HSC) techniques help in this regard. 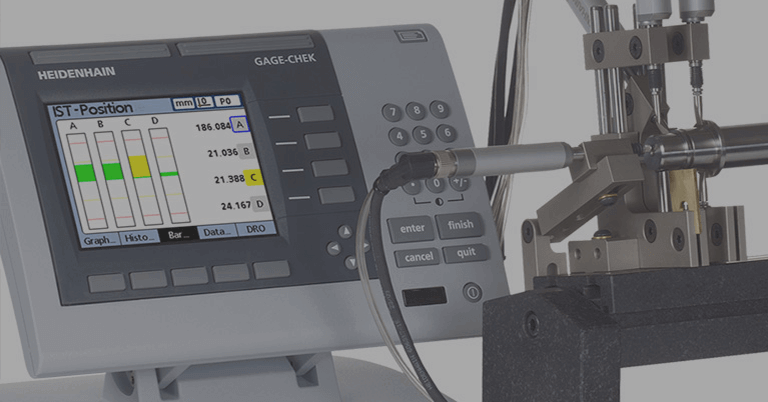 Speed can be achieved easily enough, but maintaining extreme precision and quality while slashing cycle times requires sophisticated machine tool technology with top-of-the-line CNC controls. Manufacturing environments increasingly demand that humans work alongside robots—in a safe and efficient way. To this end, Functional Safety is a hot topic, with countries in the European Union already requiring it in many applications, and regulations being considered in the United States and Asia. 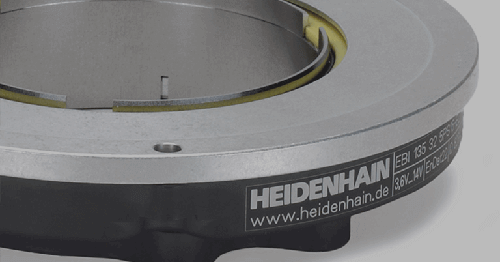 In the field of metalworking, HEIDENHAIN controls offer options that help enable safer automation—including the Dynamic Collision Monitoring (DCM) function that senses impending collisions and stops them in their tracks. 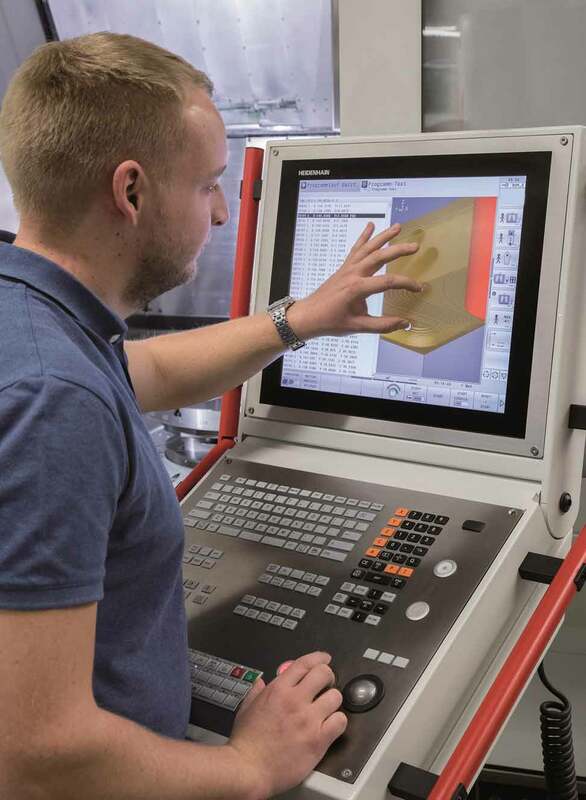 Increasingly complex geometries and tough-to-machine materials continue to pose challenges in 5-axis machining But with every passing year, machine, tooling and software manufacturers look for processes to help ease the burden. Trochoidal milling is an example of this. This technique uses a constant circular interpolation movement for the more efficient removal of material in scallops and pockets. Trochoidal milling helps decrease wear and tear on machines and tooling, but alone provides little advantage in terms of speed. When paired with the adaptive feed control (AFC) option on HEIDENHAIN TNC controls, however, users can expect substantial savings in cycle time. AFC works by significantly increasing the feed rate during the air cuts of the circular milling process, but reducing it as soon as the cutter meets the material. Manufacturing trends in specific industries are driving the development of application-specific technologies and processes. The aerospace industry, for example, is frequently in the spotlight due to increasingly stringent demands: consistently high surface quality, reliable compliance with tight tolerances, high machining speeds, and the documentation and validation of complex processes accompanying production runs, to name a few. In the automotive industry, processes like drop forging and extrusion make transmission components tougher and more resistant to be able to withstand high dynamic loads. This type of hard-milling can be challenging to do quickly (another demand in the automotive industry), while maintaining necessary surface finishes. In both of these examples, sophisticated control technology—including HEIDENHAIN’s—is a must. When it comes to industries in which gear-making is prevalent, another HEIDENHAIN control feature can help. 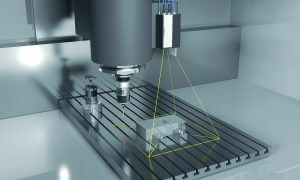 Cycle 880 on the latest TNC control achieves more efficient gear-hobbing of external cylindrical and helical teeth by synchronizing the tool and lathe spindles; it positions the rotary axis to the required tilting position and performs the infeed movements to the workpiece in the radial direction, and the milling movements in the axial direction. 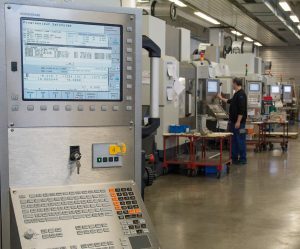 HEIDENHAIN works with several leading machine manufacturers to deliver industry-leading 5-axis machining technologies to the market. Shops also have access to a variety products—from CNC controls to encoders—for retrofitting needs. 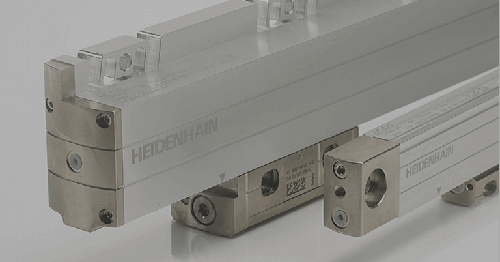 To learn more about the solutions HEIDENHAIN has to offer, contact us here.